The Oaks Plastic Surgery offers a variety of non-surgical rejuvenation procedures. One of the most common non-surgical procedures performed is filler injections. A variety of different fillers are currently on the market, which, in the correct hands, can improve the overall look and contour of the face. Fillers consist of injectable materials that help fill and contour areas of the body. 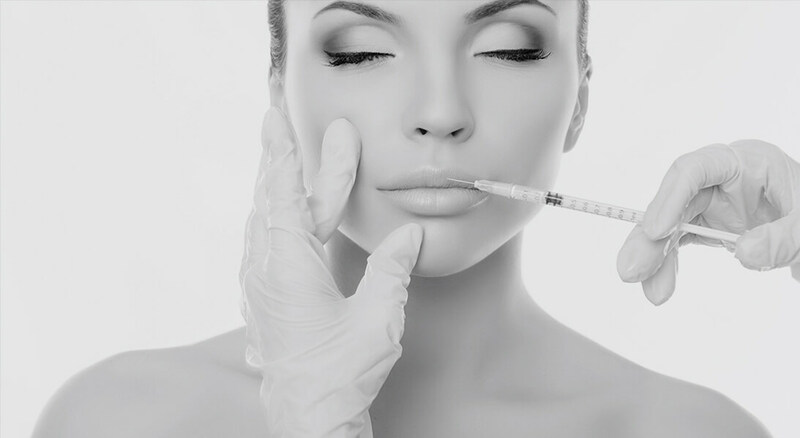 The most commonly used filler material at The Oaks Plastic Surgery (TOPS) is hyaluronic acid. Different molecule sizes and cohesiveness give the different filler products different characteristics, that in trained hands can help give you the look you want to achieve. The fillers most often used by the plastic surgeons at The Oaks Plastic Surgery include Juvederm Ultra, Juvederm Ultra Plus, Voluma, Vollure, Volbella, Restylane, Restylane Silk, Restylane Lyft, Restylane Defyne, Restylane Refyne, Radiesse, Sculptra, and Belotero Balance. Why do you want facial fillers in Houston, Texas? Lip augmentation is one of the most popular injectable procedures performed by our TOPS plastic surgeons. For younger patients desiring a fuller, more voluptuous look, hyaluronic acid fillers such as Juvederm Ultra, Juvederm Ultra Plus, and Restylane are most often used. These fillers can be used to give a more subtle lip augmentation or for more dramatic results. For patients more concerned about fine lines and wrinkles around the lips, lip augmentation to restore volume can help improve some of these wrinkles. Additionally, the use of a thinner product such as Volbella or Restylane Silk can help to further fill in these lines. Additionally, different skin care regimens or peels can also help treat or prevent fine lines and wrinkles around the lips. Nasolabial folds are the deeper folds from the corners of the nose to the corners of the mouth. While it is normal and beautiful to have these folds, the folds tend to get deeper and more pronounced as we age. Placing some filler into these areas helps to smooth these areas, creating a more youthful, soft appearance. Our TOPS plastic surgeons typically use Juvederm Ultra, Restylane, Refyne, Defyne, Vollure, or Belotero to treat these areas. The under eye area or tear trough area is also a very common area our TOPS plastic surgeons perform augmentation using fillers. As we age, the cheek area drops leaving hollows and dark circles under the eyes. Filler can be used to augment the tear trough area to make you look more awake and refreshed. Filler can also be used to help camouflage under eye bags for those who want non-surgical correction of this area. Depending on your unique anatomy and desires, a number of different fillers can be used in this area. As our hands age, they lose volume and can be a tell-tale sign of aging. Fillers such as Radiesse and Restylane Lyft have been used to fill in the backs of the hands to create a more youthful appearance and mask the signs of aging. Our temple areas also begin to lose volume with age. Using fillers to help restore this area keeps your face looking young with improved overall contour. Filler can be used to plump the ear lobe if earrings have pulled down the earlobes creating an elongated piercing. This can help to improve the look and projection of your earlobes and earrings. Cheek augmentation can be used for patients desiring higher, more prominent cheekbones as full-time contouring and highlighting. Cheek augmentation can also be very helpful for patients whose cheeks have begun to sag or lose volume due to age. This is typically performed with thicker, more cohesive fillers such as Voluma, Restylane Lyft or Belotero. chin augmentation can be performed with filler for patients who do not want a surgical chin augmentation. Chin augmentation can really have dramatic results for the overall shape and balance of the face. Patients who undergo chin augmentation often look as if they have had a rhinoplasty or neck lift simply from chin augmentationrestoring balance to the face. Chin augmentation is often also performed with thicker, more cohesive fillers such as Voluma, Restylane Lyft, or Belotero. with careful knowledge of anatomy and facial dimensions and and ratios, filler can be used to perform a non-surgical rhinoplasty. This particular technique is helpful for patients who do not want a full surgical rhinoplasty with a hump or crooked nose or a droopy nasal tip. A combination of botox and filler can be used to treat lines of the neck. Filler can be used to create a more angular, chiseled jawline, which can also improve neck contours. As we age, our jawline and neckline lose definition and develop a wider angle. Fillers can be used to improve these angles and overall facial contour. carefully placed filler, often in combination with Botox, can help elevate the tail of the brow giving a subtle brow lift. This can brighten and open your eyes creating a sleeker, more awake look. A combination of hyaluronic acid fillers and PRP have been used to enhance the “G Spot” and improve sexual satisfaction. "The Oaks Plastic Surgery are highly skilled in injection techniques"
As plastic surgeons, the physicians The Oaks Plastic Surgery are highly skilled in injection techniques and have in depth knowledge of facial anatomy and the aging process. The TOPS plastic surgeons use very precise facial analysis and injection techniques to optimize your results and use the correct filler product for your particular area of concern. The Oaks Plastic Surgery also has very experienced nurse injectors who are very skilled in filler injection procedures.